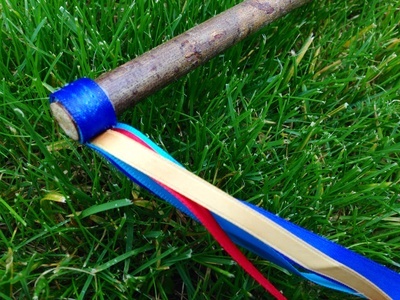 Create some easy ribbon wands and have fun shaking, waving and dancing with them. 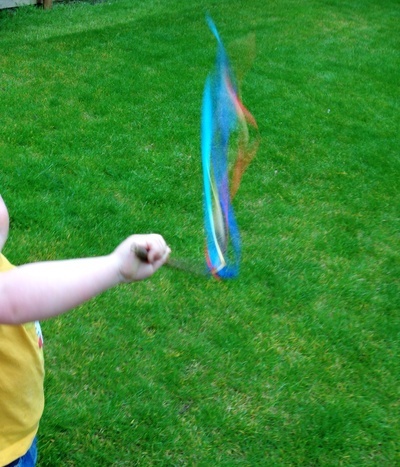 Enjoy some imaginative play and pretend to cast spells using your ribbon wand. Cut the cane or stick to the length you want the wand to be. We used half a regular sized garden cane. Cut several strands of ribbon. 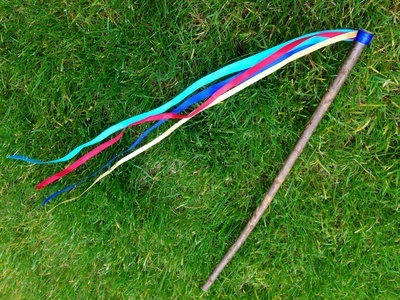 We used four colours and cut the ribbon into strips approx 45cm long. Glue one end of each piece of ribbon and stick together, one on top of the other. Allow to dry. 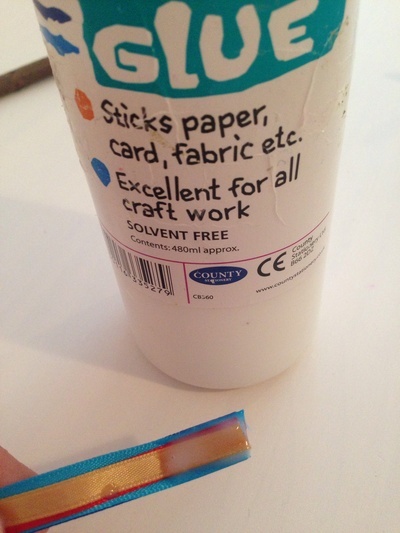 Apply plenty of PVA glue to one end of the garden cane, then wrap the stuck ends of the ribbon around, dabbing in more glue where you can. The white PVA glue will dry clear. 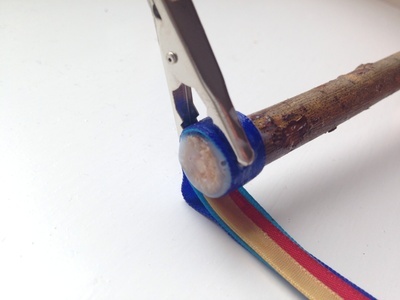 Clamp the glued ribbon with a clip to hold it tightly while it dries. When dry, remove the clip and add another layer of glue to the end. 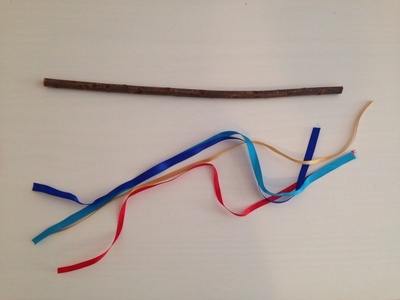 Your rainbow ribbon wand is now ready to use - have fun! Try using different colours of ribbon for different looks - for example: pretty pinks, purples and silver for a princess costume or purple, black and green for a witch costume.